Children Central helps your child grow! As a parent, nothing is more important than preparing your child for success. We want only the best for our children. We work hard to make sure this all becomes possible by finding the best Newtown childcare available. There are different schools of thought on how to raise and teach children. One way uses a traditional approach to early childhood education. Sadly, quite a few parents will settle for that. Staying with something that is familiar is easy and some people do not want to get out of the "box". 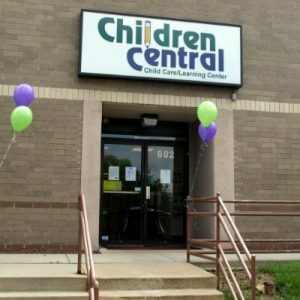 The phrase, “don’t fix what is not broken” is what most child care centers are run on. However, settling for the familiar and the common brings about mediocre results. When we think about our children, we do not want them to be mediocre, we want them to shine and reach their full potential. At Children Central, a childcare serving the Newtown community, there is nothing boring or traditional about our approach. There is nothing mediocre about the results we strive for in your child! We help kids learn to share! One thing that separates Children Central from other Newtown area childcare centers is the curriculum. Our High Reach Learning Curriculum is based on years of solid research on early child development learning which transforms babies into independent children. 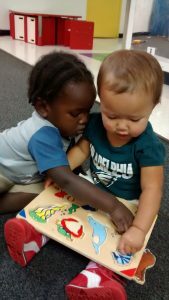 Our child care curriculum opens children to all learning possibilities making them well-rounded people at a very young age. We see this in our students ages 3, 4, and 5 which have turned into independent, active and highly engaged learners. 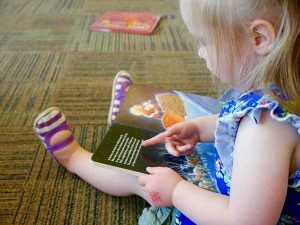 They have significantly improved their vocabulary, motor skills, coordination, their ability to think, and most important, their ability to socialize with kids from different age groups. Our childcare, serving Newtown, is heavy on both theory and research. We know what works and what does not, regardless of the age of a child. Our 220-page training document contains evidence of strategies we use throughout our teaching careers and we are the renowned experts in these strategies. This claim is backed by recognition from the Keystone STARS Organization that has verified that our system works. We have also aligned our curriculum with the State of Pennsylvania’s early learning standards. This means that your child learns what they are supposed to learn in their age bracket. CONTACT US for more information today! We would love to talk with you.